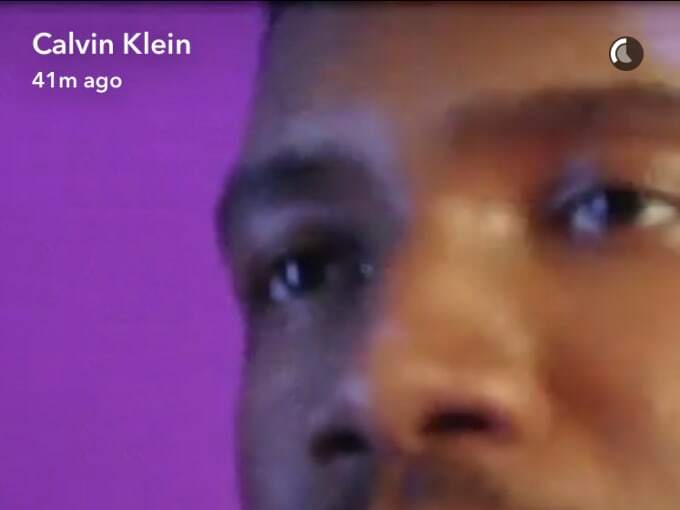 UPDATE 7/6/16: Calvin Klein released the full videos for Ocean and Thug&apos;s commercial spots. You can check them out below. In his video, Ocean, thankfully, does touch on his music. "If you start to have it and keep it up for four or five weeks then you stop, you feel like you&apos;re missing something in your day," Ocean says. "That&apos;s what music is to me. It feels like a necessary act." Then he recites what sounds like song lyrics. "It takes a mind to worry; a conscious to feel ashamed. But there&apos;s no place to hide out here; these skies are filled with planes." 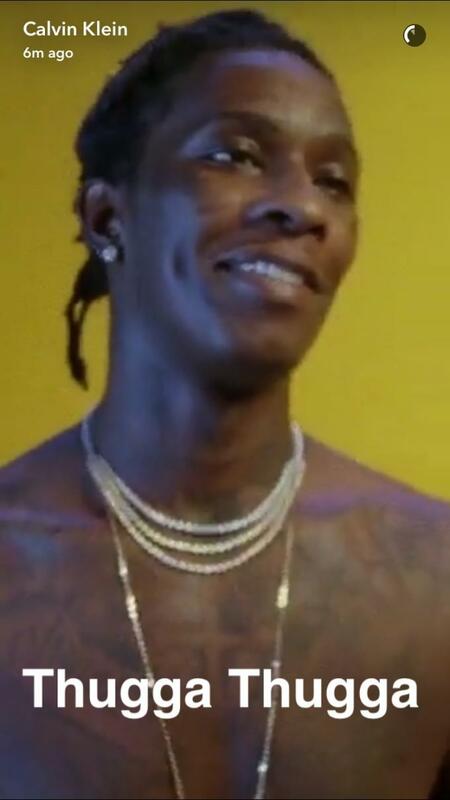 Young Thug, who often dresses androgynously, philosophizes about gender in his dedicated video. "In my world, of course, it don&apos;t matter you could be a gangster with a dress or you could be a gangster with baggy pants," Thug says. "There is no such thing as gender." Calvin Klein unveiled its new fall 2016 campaign on its Snapchat Thursday. Last season&apos;s campaign included superstars like Justin Bieber, Kendrick Lamar, and Fetty Wap, and this season keeps the star power cranked to 11. The celebrities involved in the fall 2016 campaign are Young Thug, James Rodriguez, Kate Moss, Grace Coddington, and... the world&apos;s most accomplished procrastinator, Frank Ocean. Ocean, who really should be in the studio wrapping up that album, and the other celebrities talk about falling in love and flirting in their Snapchat videos. "Drawn fantasy to make things hyper-real, I guess," Ocean said, but we really don&apos;t want to hear it unless those are song lyrics. Surely this is just a teaser for what will be a fully blown-out Calvin campaign. But that&apos;s fine; we&apos;ve gotten used to teases when it comes to Ocean.